Hey Oppo, what's for lunch? 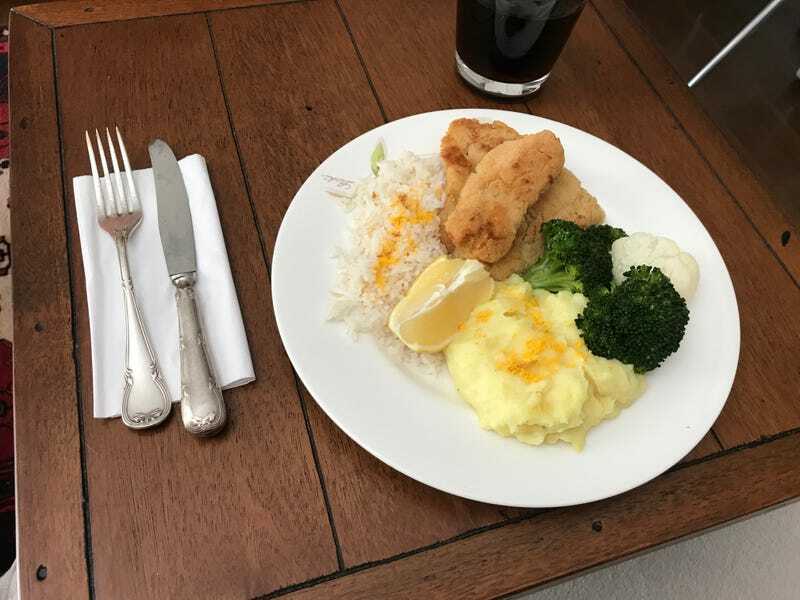 I have fried Hake fish, steamed broccoli and cauliflower, potato purée and some plain rice. Not the most exciting of foods but there you go.